Jeju has long been home to an array of flea markets where local artists, traders, and hobbyists sell a variety of products. At these markets, visitors enjoy looking through and buying products that have an individual touch as well as taking in the unique atmosphere that only flea markets can bring. With that in mind, the Tapdong Flea Market hopes to bring some of the island's enthusiasm for flea markets to Jeju City. We spoke to market manager Moonho-cho about what visitors can expect. Amidst the remains of the week's snowstorm, the market opened its doors for the first time on Jan. 13. 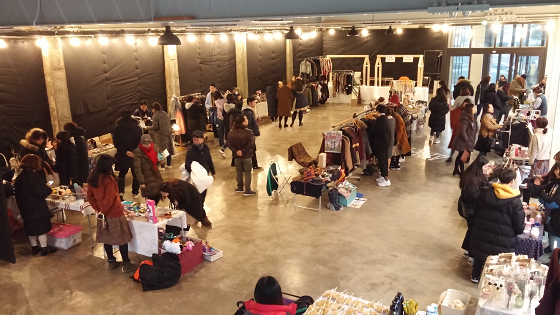 Taking place on the bottom floor of an empty building in the Tapdong Area, it is expected to open every Saturday until the end of March from 5 p.m. till 10 p.m.
Moonho explained how the organizers chose the location for the market. 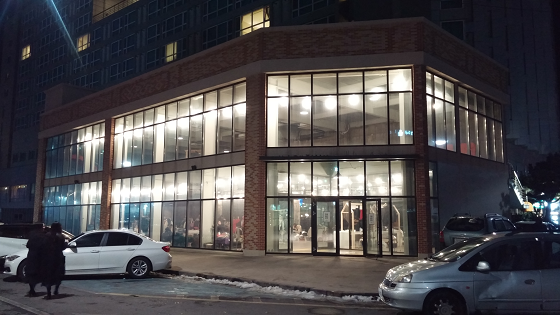 After noticing that the building had been empty for some time, they got in touch with Arario, the owners of the building, who gave them the green light to hold the market until the building starts to undergo construction for a new project in March. The organizers hope to have an interesting array of goods on sale and each week they will select around 30 different sellers to take their place at the market. They decided that by personally choosing the sellers they would be able to ensure that the market has a variety of goods for sale. The organizers expect to have people selling jewelry such as earrings and bracelets, clothes, chocolates, as well as coffee and snacks. There will also be a second-hand bookshop at the market. In order to get as many books as possible, the booksellers don't have to be at the market. Instead, the organizers will sell the books and pass on the money for sold books to the sellers.